Thank you for visiting the Bradley Construction website. 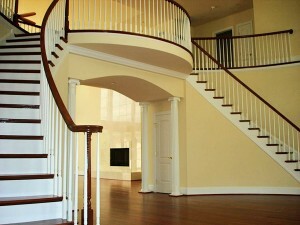 We are a remodeling contractor serving the Gaithersburg, MD area for over 34 years. Are you looking to add an addition or home improvement to your current single family home? Increasing the square footage through an addition will increase the value and functionality of your home. Whether you are looking to add a new bedroom, bathroom, kitchen or family room, trust Bradley Construction on your home improvement project. The design and floor plan of your proposed new addition is where it all starts. Our company has the knowledge and remodeling experience to create beautiful, efficient and comfortable designs. Planning for a new custom home or a remodel of any size can be frustrating and overwhelming. Allow our experience to make your project pleasurable from start to end. You can trust us to provide quality service by maintaining a rich understanding of the “whole picture” and not just a punch-out mentality. Do you still like your current home? How about its location, community and comfort for your family? Do you need an addition to your kitchen, bathroom, sunroom, or bedroom? Do your local building regulations allow you to add more square footage to your lot? How much is your budget for the addition? How much value will this addition add to your home? Move or Put An Addition On Your House? Putting an addition to your home will be less expensive than buying a new house and move. Although it is stressful but your intention of living in your own model house may outweigh the pressure. Ask yourself how long you plan to stay in your home – 5 more years? Or do you expect to live there for twenty more years. A benefit to adding onto your existing home is you’re able to pick out the exact features you want in your new room rather living with another person’s idea of the perfect room. What do I need (want) to add on? What type of addition would you like? Kitchen expansion or add a bathroom or more bedrooms? When you decide on a budget, try researching on what types of rooms that could add more value to your house. What’s Involved? Here is an overview with lots of things that homeowners often aren’t aware of like building permits and variances: Bradley Construction Inc. can develop a thorough project plan, taking into account; Town/city regulations: zoning; permitting; periodic inspections; final inspection. Construction: foundation; framing; electrical; plumbing; windows; doors; insulation; and siding. Interior finishes including flooring, interior trim, painting, etc. While you add more value to your house by putting addition into your home, realize that property taxes may be higher. Understand how much of your investment will likely be recouped when you sell your home. We take pride in our longstanding history of stability, professionalism, tradition of excellence, and an impeccable reputation. Our company has been built on three guiding principles: Quality, Integrity and credibility. Contact us today and let us turn your dreams into reality! Check out our portfolio page for some of our past work. Remodeling Contractor Gaithersburg, MD since 1978. Try visiting Fypon’s website for exterior/interior trim/mouldings that will not rot/decay. You can also visit the National Kitchen and Bath Assn.’s web site for remodeling tips. CALL TODAY FOR YOUR FREE ESTIMATE AND DESIGN CONSULTATION. TAKE ADVANTAGE OF OUR SAVINGS SPECIAL!